To accommodate their unique aesthetics, Crystal and Rawle used the theme, “A Modern Romance,” to guide the style of their Trinity River Audobon Center wedding. Crystal love all things earthy and bohemian while Rawle prefers clean lines and bold accents, so the modern architecture of the venue and the indoor/outdoor spaces provided the perfect compromise. Because the couple planned their wedding from Atlanta, they relied on the expertise of Truly Ewers Events to bring together the romantic and minimalist vibes into a cohesive look. Belle Decor created gorgeous tall floral centerpieces for the reception, as well as a stunning bouquet of pink and white roses for the bride to carry. They also added a touch of glam with the formal wedding party style, and Crystal added a pop of edge with a black leather jacket over her stunning lace Sarah Seven gown. No detail was left untouched in this stylish Dallas wedding, and Chelsea Denise Photography didn’t let a moment go uncaptured. 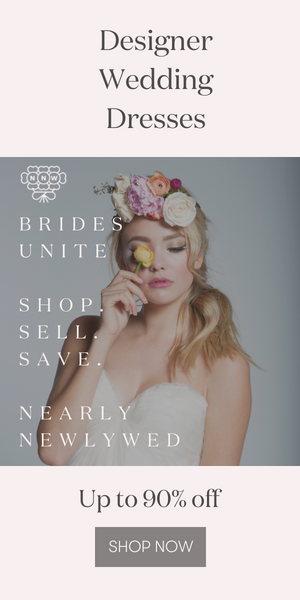 If it’s within your budget, get a full-service wedding planner. My wedding was located in my hometown of Dallas, TX and we live in Atlanta, GA. She achieved so much in our short engagement window of 8 months, and I’m sure I couldn’t have done it without her. Rawle and I both have a minimalist approach to fashion and style. I felt that our wedding should reflect that. Clean lines with a simplistic elegance were what I was going for. Rose gold accents and a color story that matched both the season and our personalities work out perfectly. Congratulations to Crystal and Rawle, and a special thanks to Truly Ewers Events for sharing this Trinity River Audobon Center wedding with Junebug! If you love Crystal’s edgy bridal style, here are 13 ways to infuse a little edge into your wedding style! This is a beautiful wedding and I love her headpiece! I also love the fun, candid images of the bride enjoying her wedding day.